Celebrating the debut of McCafé fresh baked muffins by Quaker, Southeast Michigan McDonald’s will treat 500 commuters to a free breakfast. 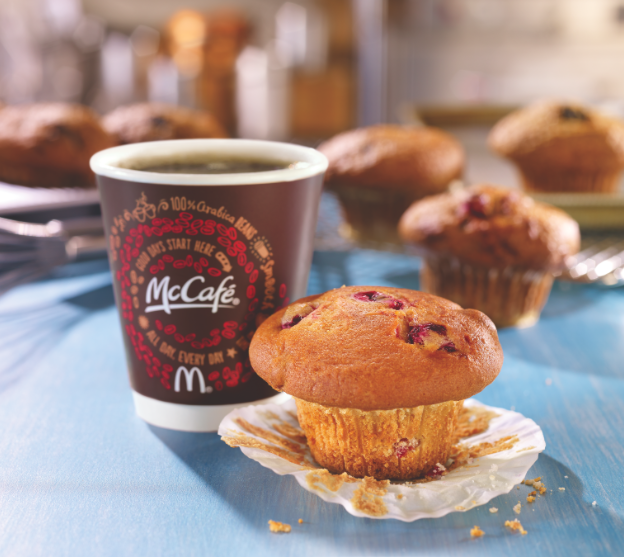 From 7 to 10 a.m. those traveling by foot or vehicle will receive one free McCafé muffin and small coffee. Baked in-house daily, McCafé muffins are available in four flavors: Blueberry, Berry Bran, Cranberry Orange and Double Chocolate. Offer valid while supplies last, no purchase necessary. To accompany the new line of fresh baked goods and coffee offer, McDonald’s will host live entertainment by the Dennis Lee Trio featuring Gwen Foxx, and offer commuters giveaways. Customers also can stop by a participating McDonald’s restaurant during breakfast hours Tuesday, Sept. 16 through Monday, Sept. 29 ­– National Coffee Day – for a FREE small cup of McCafé Coffee.Limit one per customer per visit, no purchase necessary.